*UPDATED*: Here is the link to get $15 tickets. The offer lasts two hours, 3pm Pac time. Six Flags Magic Mountain will be selling tickets to all their parks for $15, compared to the regular price of up to $53.99. 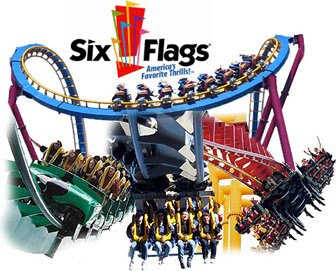 Here's the deal - at 1PM pacific time, @SixFlags will tweet their special promo code to get the savings. Check back with us at 1PM for a link to the special promo code. The link will only last a couple of hours so check back quickly. Due diligence will earn you a great time at Six Flags.